We proudly support the work of faith based groups and their specific goals for programming. We enjoy working with faith based groups of all ages and sizes including youth groups, confirmation groups, adult groups & church leadership. Our programs are a great way to deepen the relationships between group members, and to create opportunities for depending on one another. Goals and programming can be implemented to teach the importance of faith, grace, fellowship, support, and developing a community. Our programs can support your lesson for the group in ways that illustrate traits, parallels to scripture, and finds the application from the reflection and debrief process. We can develop a program that is a great compliment to your themed retreats, or add some fun and experiential education to your fellowship. BRLC has a variety of program options. Is your group looking for some meaningful studies in nature? Try our Outdoor Education program. 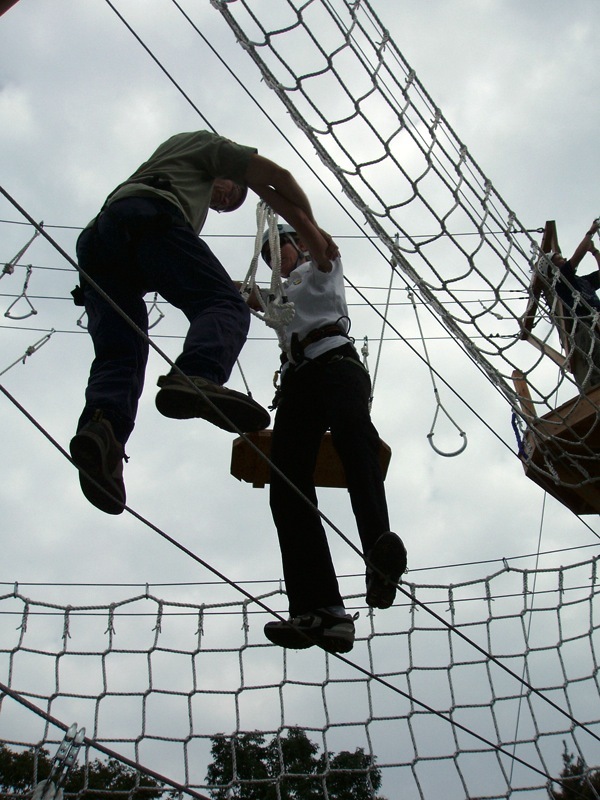 We also offer a winter experience, on our Indoor High Ropes Courses. Your experience can be HALF-DAY (3 hours), FULL DAY (6 hours), or MULTI-DAY. Get ideas for your group today!